Even as many are optimistic about the eventual outcome, there is the potential for major tariffs – many directly on chemicals and polymers. Companies must be prepared to adjust their supply chains and also change long-term investment plans. 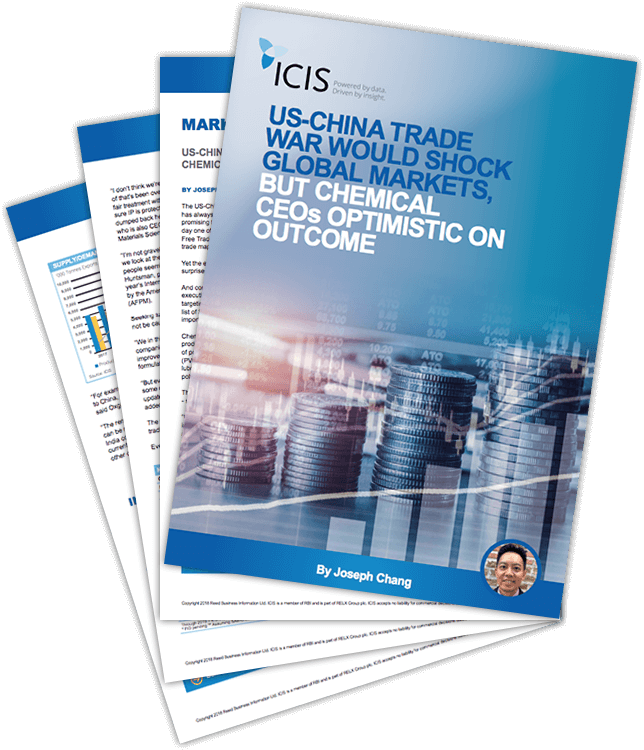 Find out more in the market insight below by Joseph Chang, global editor of ICIS Chemical Business. Please click here to view more data and articles on the US-China trade war. For subscriptions enquiries, please click here. Find out more about ICIS solutions for the Financial market.